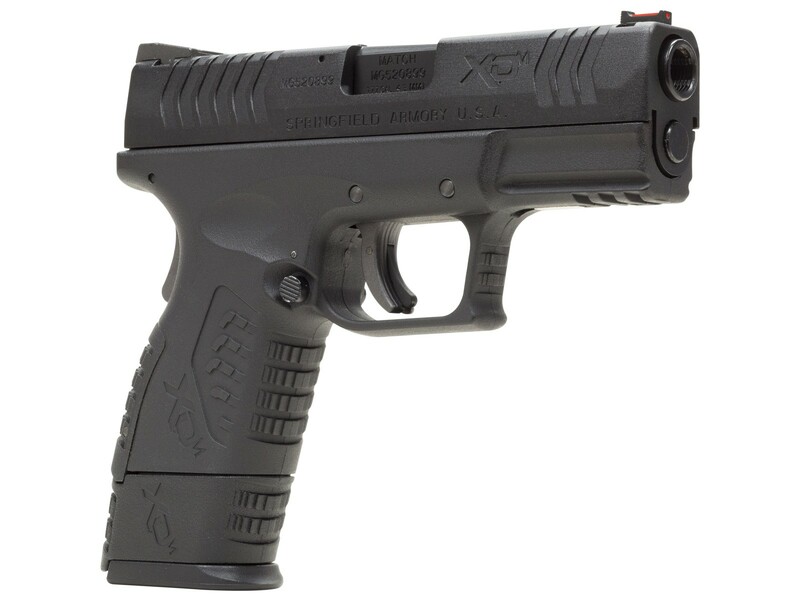 Boasting the same features that made the firearm such a big hit, the XDM 3.8" is a shooter friendly, compact CO2 pistol that feels and handles just like the centerfire pistol it replicates. An authentic grip safety and functional trigger safety provide an unmistakable similarity to the feel of the real steel version. And the airgun replica even field strips just like the firearm too! Operating from a single 12 gram CO2 cartridge that loads into the 20 round drop free magazine, the XDM 3.8 spits BBs out at velocities up to 270 fps! 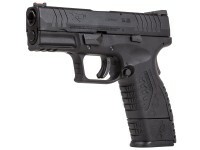 The air pistol also has a strong blowback, simulating recoil, with each pull of the trigger. To make sure each shooter finds a comfortable grip, the pistol also comes with three sizes of interchangeable backstraps and grip frame extensions. This makes the XDM 3.8 one of the most customizable replica CO2 action pistols on the market! Does this model have a full magazine like the airsoft model, (vs. a stick style magazine)? Is the magazine shorter than the usual magazine, (do you have to use the grip extensions)? Thanks! Velocity only 270 fps? That's slow. Is that correct? It's a pretty short barrel, so that's not surprising. And it's full blowback, so it makes sense. From what I was told at SHOT Show, that is an actual velocity and is not inflated like many other brands.